So I finally decided to do NaNoWriMo, an annual event where writers aim to write a 50,000 word novel in 30 days. For years, I’d heard about NaNoWriMo but by the time I’d learn about it (year after year) it would be too late – like, let’s say, November 15, or probably around Thanksgiving, when we’re all laying about around the table struggling to talk about something – this, though is what happens when I do Thanksgiving at my in-laws. They are amazing cooks, but I’ve never seen a family do the “eat and run” so fast. In by 12 noon, out by 2 pm. Yes, it’s that fast, and everyone’s got it down, pat. It’s scary. Contrast that to my family’s gatherings, and we’re still there eight hours later. So, it is now day 10, and I’m only at 10K, with about 1K of that to be rewritten. NaNoWriMo is all about quantity, not quality, their website says, and that one should just write, write and write some more. The only problem is that with me, I write and plot as I go along, and if there are holes in the plot – things I’ll discover when I sleep on it – then I go back and rewrite the damn piece. So, from ending up with 12K words a few days ago, I’m now down to 10K again. However I’m not discouraged yet. My story is shaping up slowly, and my muse is hard at work. The juices are flowing, and I just need to get it all on paper, and let the story flow. Maybe I should let the editing gnome go on hibernation for a while so I can write as much as I can, but I’m afraid that might be impossible, for I know exactly how I work. I do love the idea of NaNoWriMo though. The last novel I wrote was more than ten years ago, and it’s time for me to start writing in earnest again. It will be the kick to the pants I sorely need to get going again. I told a few people about my goal of writing 50K words by November 30 and a few of them wondered if they could read the chapters as I went along, but I told them that they’d have to wait. I can’t unveil it till I accomplish 50K words first. That’ll be motivation enough, I think, knowing that people know what I’m aiming to do, and are cheering me on. 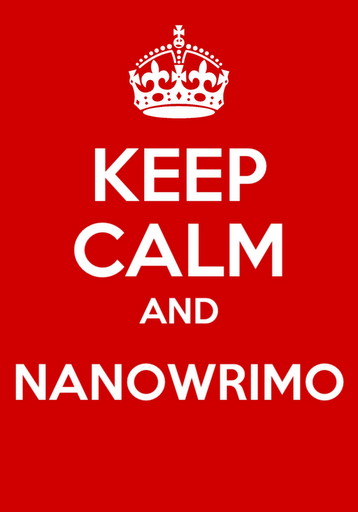 Are you doing NaNoWriMo? If so, what are your thoughts about it? How many words have you written so far?